"You cannot reason with a tiger when your head is in its mouth!" Focus Features has unveiled the first trailer for Joe Wright's Darkest Hour, the second film this year about Winston Churchill (the other one is called Churchill starring Brian Cox). 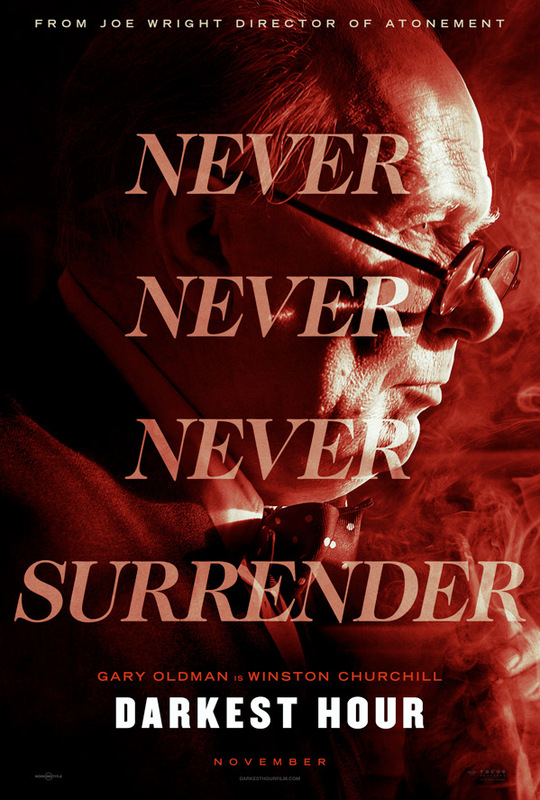 This is the film that stars the very talented Gary Oldman under heavy prosthetic as Winston Churchill, giving a powerful, commanding cigar-chomping performance. The focus in this film is on Churchill's first few days as Prime Minister, deciding whether or not to agree to a peace treaty with Nazi Germany or fight back and rally the troops. The cast includes Lily James, Ben Mendelsohn, Stephen Dillane, Kristin Scott Thomas, Charley Palmer Rothwell, Ronald Pickup, Nicholas Jones, Hannah Steele, Richard Lumsden, and Jeremy Child. This looks much, much better than the other Churchill film. And hopefully this will get Oldman an Oscar nomination - it definitely seems possible.